A few weeks ago I wrote a quick blog post with swatches of the first three Pout Paints I bought: Port, Peachy Keen, Lava. This week is a full review plus more colours. 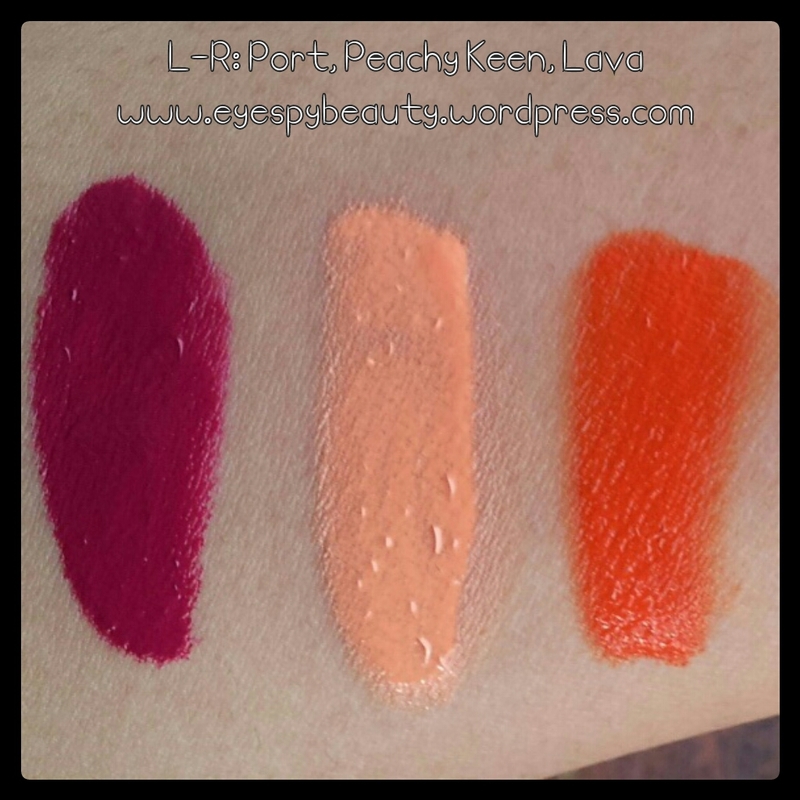 A truly unique lip product, Pout Paint is an intense lip pigment like no other that is made to be mixed. + Very easily mixable shades. 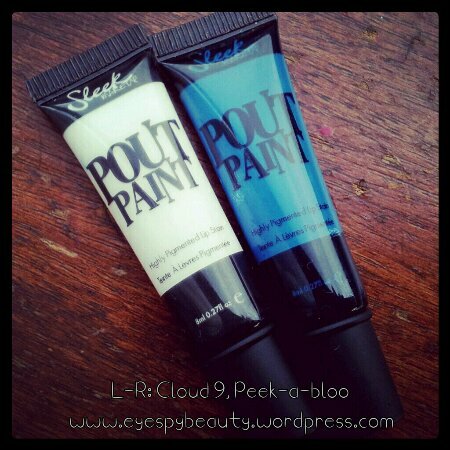 Use Peek-a-bloo to add more depth, Cloud 9 to lighten or make a shade softer and creamier, or Lava to brighten a shade for a more vibrant look. + Highly pigmented lip colour. One teeny drop is enough for the whole lip. Coverage is more paint-like rather than gloss. – Concentration varies depending on the shade. Some are more opaque than others. I generally expect all shades in a range to be of the same pigment quality. You can mix any colours together to change the shade but the most common mixers are Lava (orange), Peek-a-bloo (blue), and Cloud 9 (white). 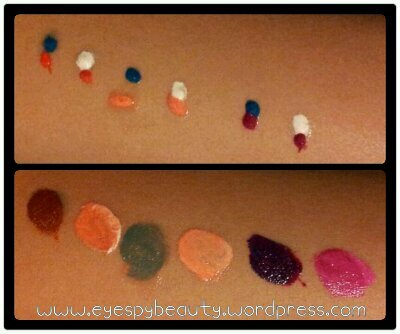 L-R: Peek-a-bloo/ Lava, Cloud 9/ Lava, Peek-a-bloo/ Peachy Keen, Cloud 9/ Peachy Keen, Peek-a-bloo/ Port, Cloud 9/ Port. 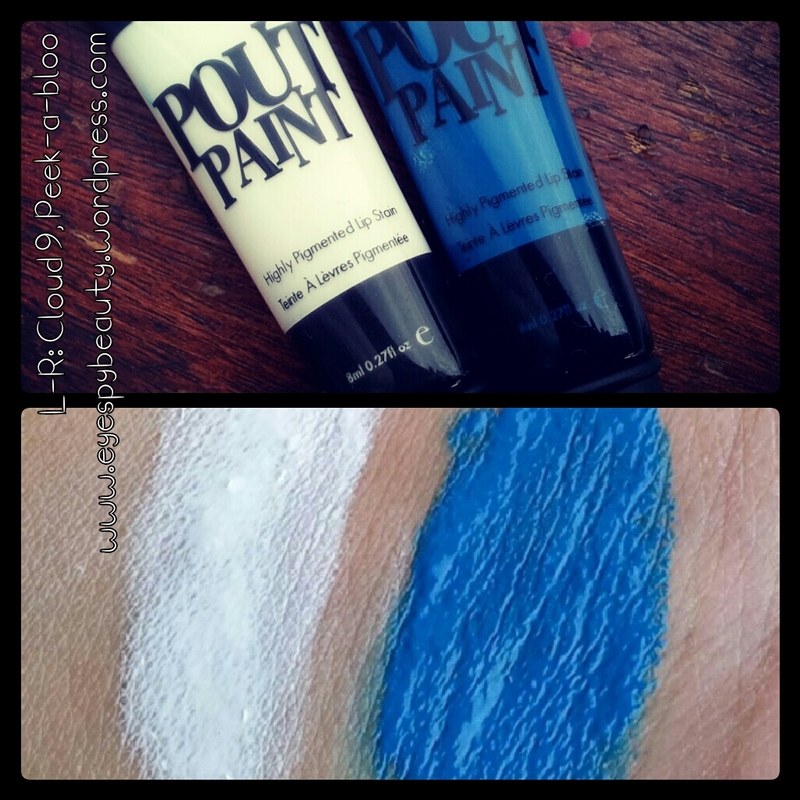 The blue/ orange or blue/ peach tones give a muddy brown or muddy green shade which may not be everyday lip paint but can be useful for theatrical looks. My favourite tones are the Port mixes. I love how Port/ Cloud 9 is a vibrant fuchsia, but a drop of Peek-a-bloo, and it becomes a vampy deep purple. Yay! These are a creative makeup artist essential. As if the 11 shades weren’t varied enough, they’re all blendable so you can create any number of custom shades. Great value, high quality, widely available. What more could you want? 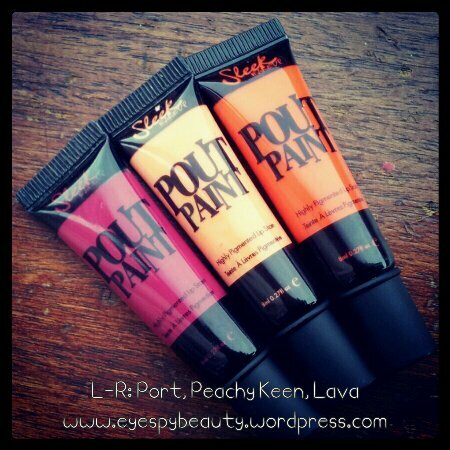 Leave a reply on "Sleek Pout Paint – full review"